‘Cloud Atlas’ is not just a movie you view, it’s a full experience. Only a few films can hold that title of being an experience and not just a film we casually watch on a weekend. The Wachowski siblings and Tom Tykwer did a flawless job in adapting David Mitchell’s novel to the big screen. 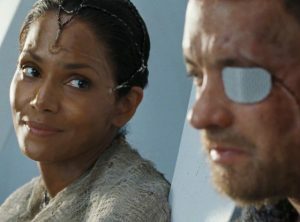 I believe that ‘Cloud Atlas’ is a milestone in filmmaking with superb acting, an original way to tell multiple stories, and some of the best editing I have ever seen. 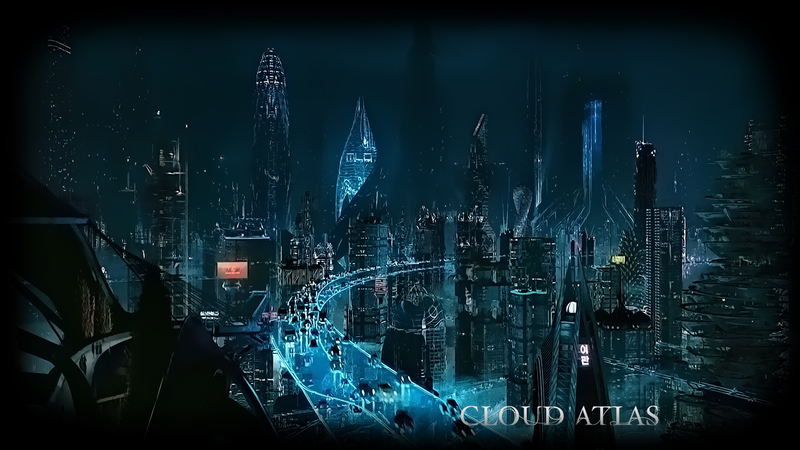 Not only is ‘Cloud Atlas’ a visual experience, but it is a spiritual experience, at least to me it was. This 3 hour film is one of the better films of the past decade. At the start of the film, we are tossed in to a wilderness of many characters and their stories, which may seem harsh at first, but the way each character and time period are told to us, the film quickly gets its feet off the ground. There are six stories being told in ‘Cloud Atlas’, and they all come together as a sort of majestic opera. It starts with a young prominent man in the 1800’s on a merchant ship (Jim Sturgess) who is writing a journal of his life, which is read by a young composer in the 1930’s (Ben Whishaw), who while creating a masterpiece symphony, writes love letters to his best friend and lover (James D’Arcy). Those love letters end up in the hands of a reporter (Halle Berry), who is working on a ground breaking story in the 1970’s, which is then read by a fun, old publisher (Jim Broadbent) in 2012. The publisher’s story is made into a movie, which is watched by a cloned woman in 2144. That cloned woman (Doona Bae), who is known as a Fabricant becomes the voice and prophet of the people, due to an Earth shattering and tragic discovery in the late, late future known as the fall, which is “the fall” of civilization. A particular survivor living in the time of the fall, is Zachry (Tom Hanks), who is a leader of the Valleysmen, a peaceful people who are terrorized constantly by a ruthless band of cannibals lead by a Kona Chief (Hugh Grant). All these stories interconnect with one another through love and embrace of others through a vast time period and even the universe. As I experienced this film, I thought several times back to an article I wrote, which you could READ HERE. 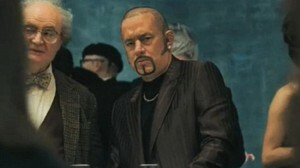 ‘Cloud Atlas’ put on film, what I thought while I was writing that article. It spoke to me. It made me think that the human race can set aside our differences and accomplish anything. We will tell the truths, and with that, we will be able to stop the atrocities that have plagued us for centuries, and that we will discover new life and other solar systems. It depicts our most positive qualities and reminds us that we are destined and capable of great and pure things. And much like in the film, our stories will be told by generations to the younger generations in hopes that we can continue to do good. The acting in ‘Cloud Atlas’ was phenomenal. It might possibly the best acting from any of these actors in a long time if ever in their careers. Each actor plays several different characters, all who have very different characteristics and looks, as well as being in different time periods. I’ve never seen Tom Hanks play a bad guy, nor have I seen Hugh Grant have an American accent or be a ruthless cannibal. The performances from all of the actors are flawless as they can switch from the villain to the hero, or from strong to cowardly, and from funny and charming to obnoxious and mean. I’v never seen anything quite like it. Broadbent was one of my favorite characters in the film, as he just makes every scene a little bit brighter. 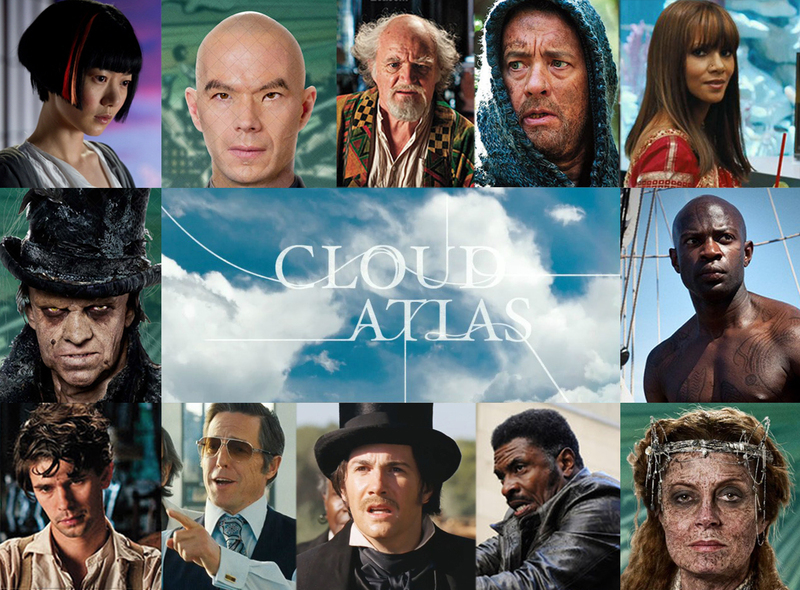 ‘Cloud Atlas’ is perfectly edited. Weaving each of these six stories, time periods, and characters together was something unlike I’ve never seen before. Not only was it perfectly edited, but each scene reflects and adds to the previous scene before it. Kind of like an opera as it builds and builds on each scene. The Wachowski’s of course are no stranger to milestones in filmmaking. They were responsible for ‘The Matrix’, which changed the movie-making world. I think the same can be said for ‘Cloud Atlas’. The visual FX are out of this world, and their vision of Mitchell’s world comes across immaculate. At no point in the film, will you be confused on which storyline you are viewing, it’s that good. ‘Cloud Atlas’ is an amazing film, one that will be discussed and talked about for years to come. This film is a true experience in art and filmmaking. I found myself really getting involved with the film, and I suggest you do that too. Tykwer and the Wachowski’s knocked it out of the park with ‘Cloud Atlas’. It’s one film that will stay with me as I get older. Highest recommendation. This entry was posted on Tuesday, October 23rd, 2012 at 2:25 pm	and is filed under Film, News. You can follow any responses to this entry through the RSS 2.0 feed. You can skip to the end and leave a response. Pinging is currently not allowed. « ‘Pulp Fiction’ and ‘Reservoir Dogs’ Will Return to Theaters This December!! !